Thank you for visiting out new "responsive" and "mobile friendly" website! 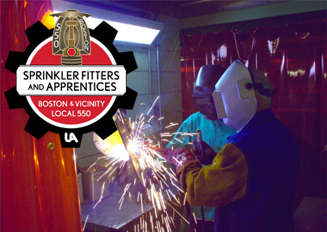 Being able to view the website on all devices easily has been a big initiative for the leadership of Sprinkler Fitters Local 550. Today marks the beginning of that quest. Be sure to check back often for news and other exciting updates. We hope you enjoy the new website and please feel free to provide feedback through the contact us forms.